Emma Chase is just a normal girl who's studying to become a vet and interning at the local vet's office. 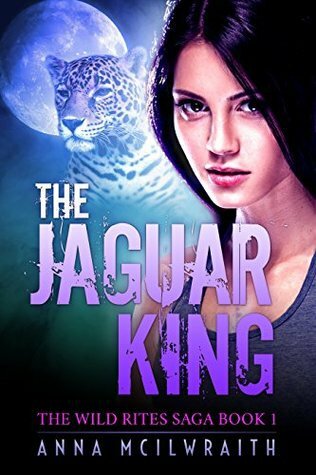 Her roomie, Ricky, turns into a jaguar regularly, but that's just all part of her life. Until Ricky's brother turns up on her doorstep telling her that she needs to run from her current life as the Jaguar King is after her and his rivals want her dead. But on top of it all the shapeshifter community thinks that she's the prophesied fated one and that she's destined to command the magic. From then on Emma's on the run from the Jaguar King and others that she doesn't even know about. She doesn't quite believe in the prophecy but that doesn't stop people from coming after her. I was introduced to this book by a friend of mine. I do love a good supernatural book and I really enjoyed read this. I loved Emma; she was funny, brave and stands up for herself. I do love a strong female lead. Even though she doesn't always understand what's going on around them, she tries her best to solve her own problems. This book is a little different from the usual supernatural shapeshifter books that I've read. It mostly surrounds the jaguar kingdom which is quite different from the usual wolf, lion and dragon shifter novels. There are a lot of mysteries surrounding each of the characters where it compels you to read further and when the time comes the author explains. You feel like you're learning about the new world through/with Emma, which is a really interesting and exciting journey. The first book used very different animals as her characters. Of course, as the series goes on the usual dominating animals come out to play as well but not in the beginning. I really enjoyed the plot line that the author has planned. It was a little slow to start out but once you get into it it's a really fantastic story. Emma's character was brilliantly compiled, she'd just make you laugh at the most serious times. I fell in love with each of the characters differently, whether they were good or bad. There wasn't a cliff-hanger at the end but it was completely open for another book which was well done. I cannot wait to continue on with this series and see what other trouble Emma gets into.